Looking for something to accompany a great feast in your meadhall? Try a hardy brown bread that’s likely something the vikings consumed. Add the water, and stir until it is too difficult to continue doing so. 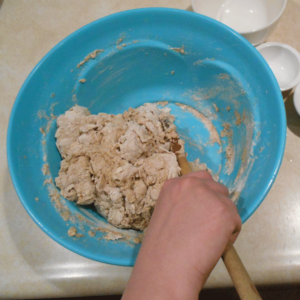 Knead the dough with damp hands until the flour is completely incorporated. 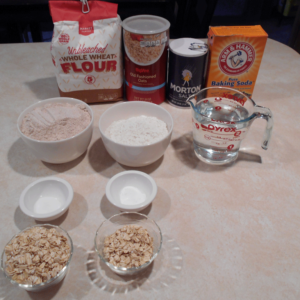 Form the dough into a round, place it on a baking stone sprinkle with reserved oats, and place it in a cold oven. Turn the oven to 375-degrees, and leave it alone for an hour. After an hour, pull the bread out of the oven, and let it cool slightly. Vikings likely ate it by ripping off chunks (feel free to cut it into wedges). Drizzle honey on it, to taste. Best when still warm.